Bradley Manning is a prisoner of the United States, incarcerated in the marine brig at Quantico, Virginia. He has been imprisoned under cruel and inhumane conditions, classified as torture by Amnesty International, and the subject of an investigation by the UN Special Rapporteur on Torture. Human Rights Watch has asked the US government to "publicly explain the precise reasons behind extremely restrictive and possibly punitive and degrading treatment." While his right to a speedy trial has been set aside, the conditions of his ten-month pretrial solitary confinement are taking a severe toll on his mental wellbeing, slowly destroying his personhood. In light of new and disproportionate charges brought against him by the prosecution, he faces an array of possible sentences, up to and including the death sentence. What is Bradley Manning accused of? Bradley Manning stands accused of nothing more than being a whistleblower. The stunning public interest revelations of the past year, carried out by Wikileaks in conjunction with the international press, came to the public because of the noble actions of a whistleblower inside the United States military. It is alleged, by the prosecution, that Bradley Manning is this person. If so, Manning has done the public an inestimable service, and for this, he is enduring vindictive and harmful pretrial treatment, and severe criminal charges at the hands of the United States government. This is not how a democracy should act towards those who exemplify - or who are alleged to exemplify - our core values. Bradley Manning's cause is the cause of all advocates of democracy, of justice, truth and liberty, and of all opponents of torture and the cruel and inhumane treatment of human beings. If you find Bradley Manning's story troubling, please use the materials below, and act today, and together we may alleviate his situation, and vindicate the good name of democracy, in whose interest we all share, and for which Bradley Manning has sacrificed so much. March 20th, 2011 is an international day of action in support of Bradley Manning. Recent events demonstrate that there is friction within the Obama administration over the treatment of Manning, and give his supporters reason to hope that further action will have real effect on his plight. 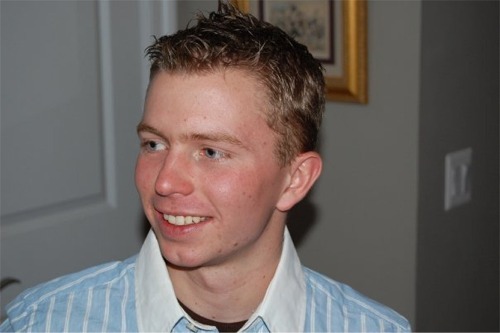 This is a time to get involved in the Bradley Manning support campaign. For further reading, see the announcement of International Bradley Manning Support Day. Please consult the Bradley Manning event calendar under Offline Action to find out which is the nearest protest rally, and look at the items under Online Actions to see what you can do to help Bradley Manning today. Please consult the calendar of protests. Protests will be added as we are informed of them. If there is no protest near you, consider starting one, and contact us to advertise it here. Consider organizing an event for Bradley. Go to the How to Organize an Event page at the Bradley Manning Support Network website, and read the instructions and suggestions for organizing an event. Please sign the petitions for Bradley Manning listed on WL Central. Visit Amnesty International's campaign page for Bradley Manning, and consider following the instructions there. Go to BradleyManning.org, get involved there, and publicize this site among your friends. If you live in the United States, write to your senator and inform them of your concern over Manning's treatment. If you live outside of the United States, contact your representatives in your national parliament. Ask them to make a statement about Manning into the record of the house, to register disapproval of his treatment. Write letters to the newspapers and news websites you read, and try to get your letter into the letters page. Post regularly on your social networks about Manning, and try to engage your friends on the issue, and make sure they are aware of Bradley Manning. Try and help his situation go viral. Organize your own fundraising events, which can serve to raise funds for Manning's defense, and also awareness of his situation. Consult this BMSN page for suggestions on fundraising initiatives.